Any vegetarians reading this post you might want to pop away and come back later. Duck breast is a favourite of mine, but limited often to eating in a restaurant. In the evening following work it is often late and the idea of cooking a big meal just is not that appealing. That said today I thought I would share a recipe that is delicious and very easy to do. It serves two as a main and can be made within 30 minutes maximum. So lets crack on, first preheat your oven to 200°C, Fan 180 °C and Gas Mark 6. 1. 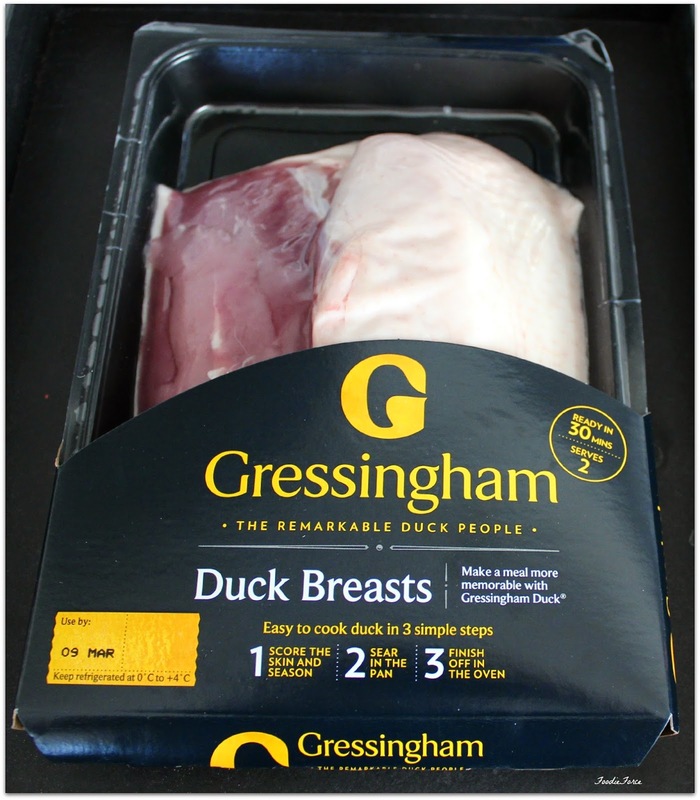 Take your duck breasts, remove packaging. 2. 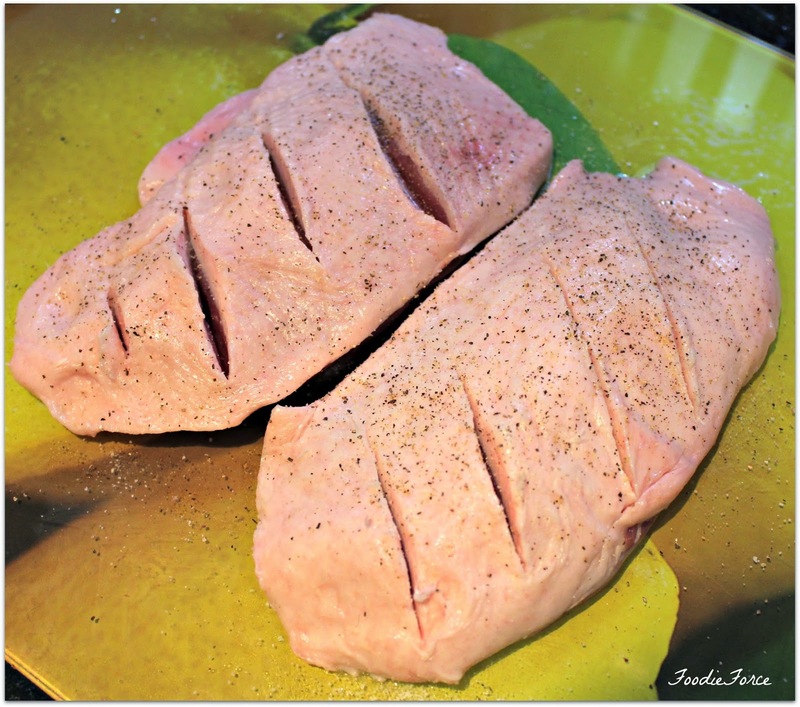 Score the skin of the duck breasts,add salt and pepper to taste. 3. 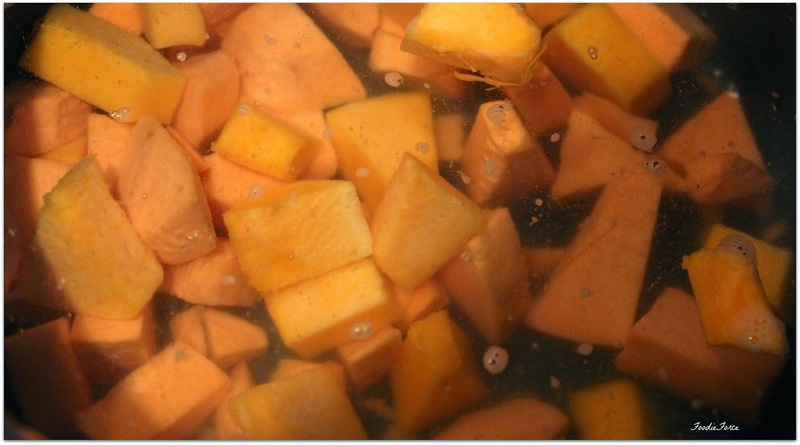 Taking your butternut squash and sweet potato peel and chop into small pieces. Add to a saucepan with warm water and heat on a medium gas/setting for about fifteen minutes until you can skewer with a knife. 4. Whilst the butternut squash and sweet potato are heating. 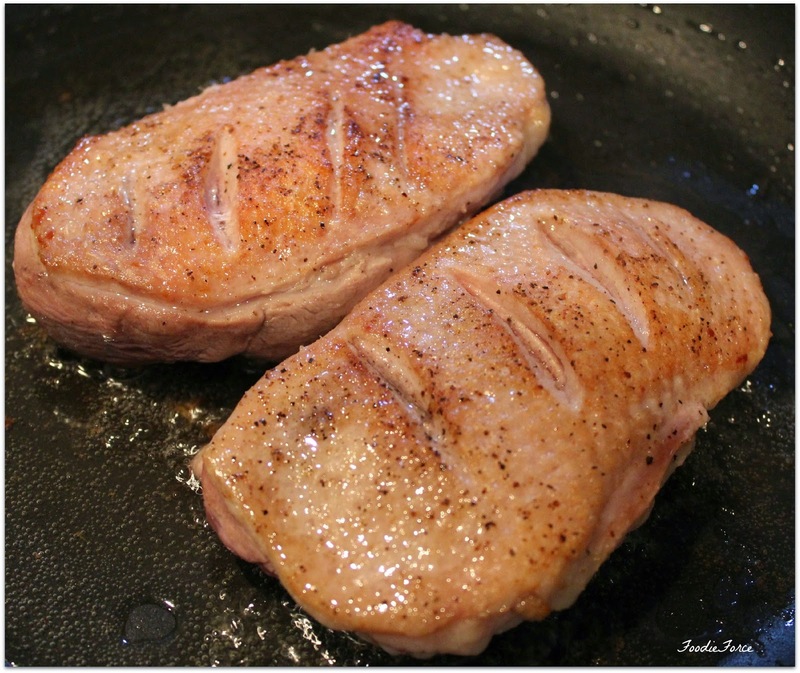 Take your duck breasts, place skin side down in a cold pan to start with. It is very important that the frying pan is cold and that you gentle increase the heat to release the fat otherwise you will seal the fat in the meat. 5. 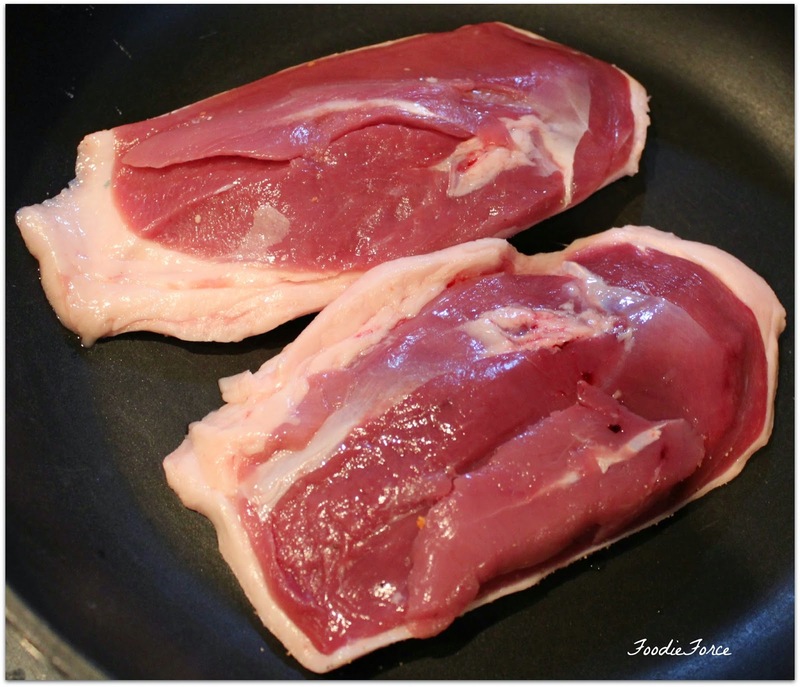 Gently increase the heat and cook the duck breasts for eight minutes, remove the excess fat as it is released. When the eight minutes are up turn over and gently seal the back of the duck breasts (1 minute max). 6. 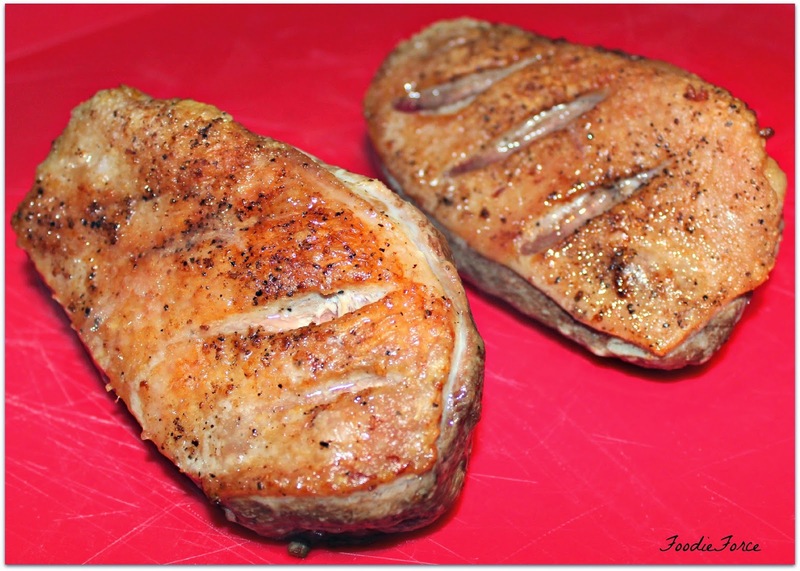 Taking the duck breasts out of the frying pan, place on a oven proof tray, skin side up and place in the oven. Now how long to cook your duck breast is all down to personal taste. I personally like my duck breast slightly pink so I cook ours for 13 minutes. But if you like your duck rare cook for 8-10 minutes, medium 10 -15 minutes and well done 15 -20 minutes. 7. 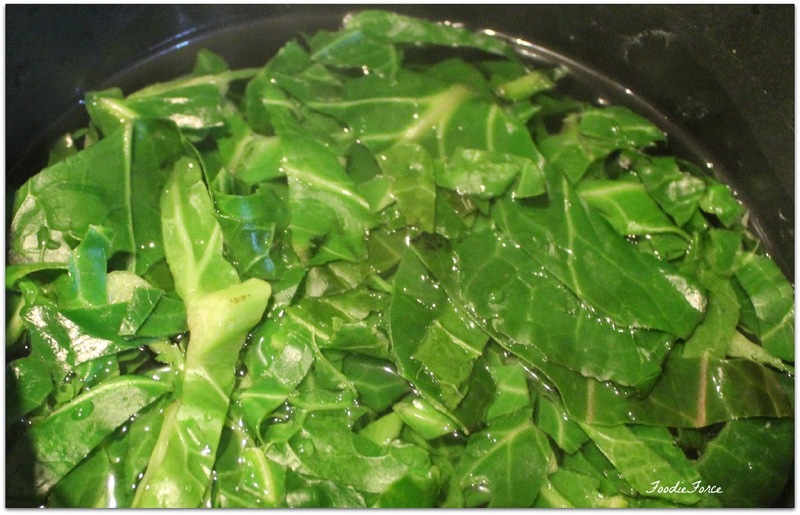 Whilst the duck breast is cooking add your cabbage to a pan with cold water, do not put on just yet. Add heat when there is six minutes left of cooking time on the duck breast. 8. Drain the butternut squash and sweet potato. 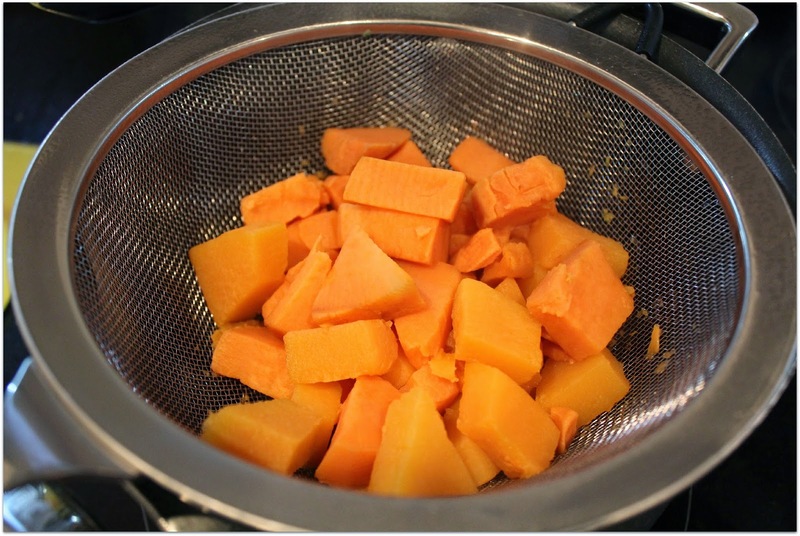 Add the butternut squash and potato back to the saucepan, add small amount of milk and butter and mash. 9.When cooking time on the duck is complete remove the duck rest and cut into 5mm slices. 10. 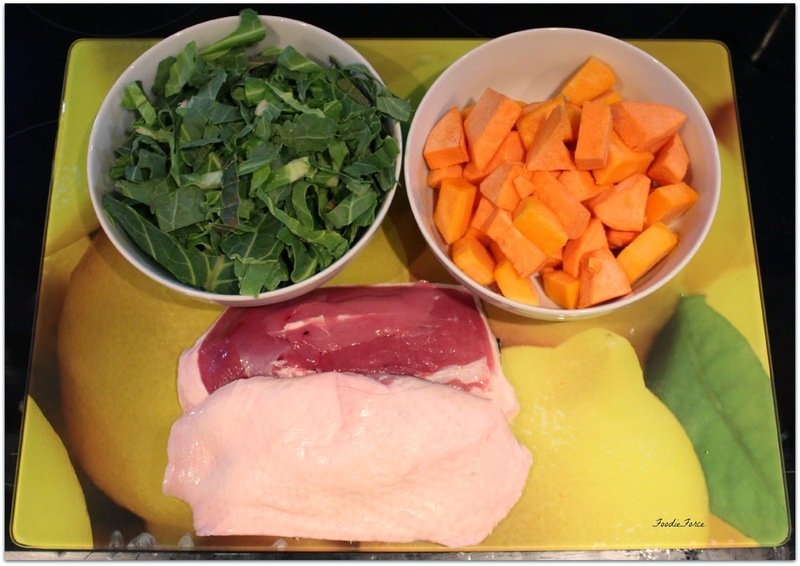 Drain the cabbage and plate the sweet potato, butternut squash mash and duck. All that is left, is to sit down with good company and devour. Of course someone else needs to do the washing up after all that hard work. If you have more time you can also make a red wine and redcurrant juice to add to the duck breast. What is your favourite accompaniment to duck? What would you like me to cook next? Three words: Magret de Canard! The best duck breast you'll ever put in your mouth. LOVE. That looks lovely. I've only ever had duck with crispy pancakes, never a full breast like that. Lol. Breast. 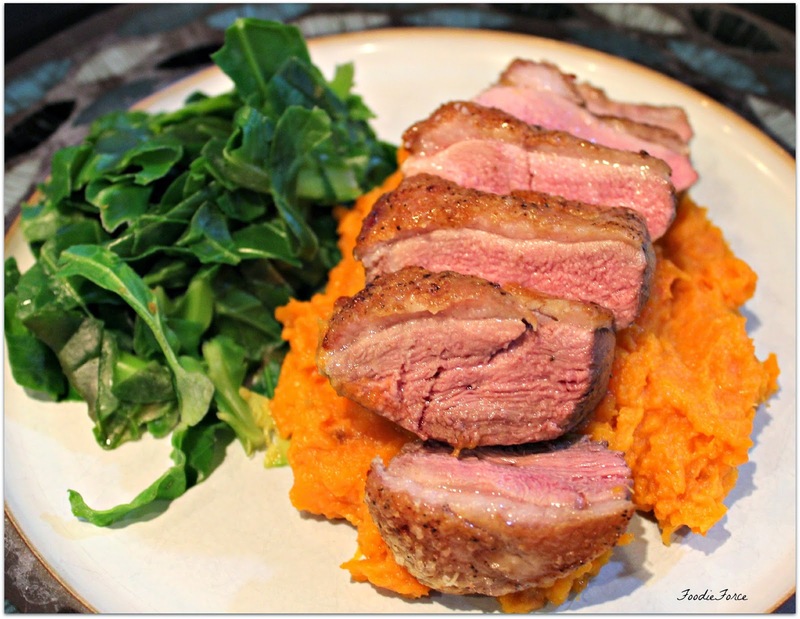 Oh I love duck, I rub mine with a mixture of salt, pepper, nutmeg and cinnamon and serve with some form of potato, but sweet potato and butternut squash mash sounds amazing. I don't usually eat duck, and when I do it's the Beijing duck with the crispy skin and wrap - absolutely delicious! I would love to try other variations of duck though! Love duck, bet it's really nice with the sweetness of the sweet potato. Lucy, you seem to cook as well as any restaurant you showcase. This looks delicious! 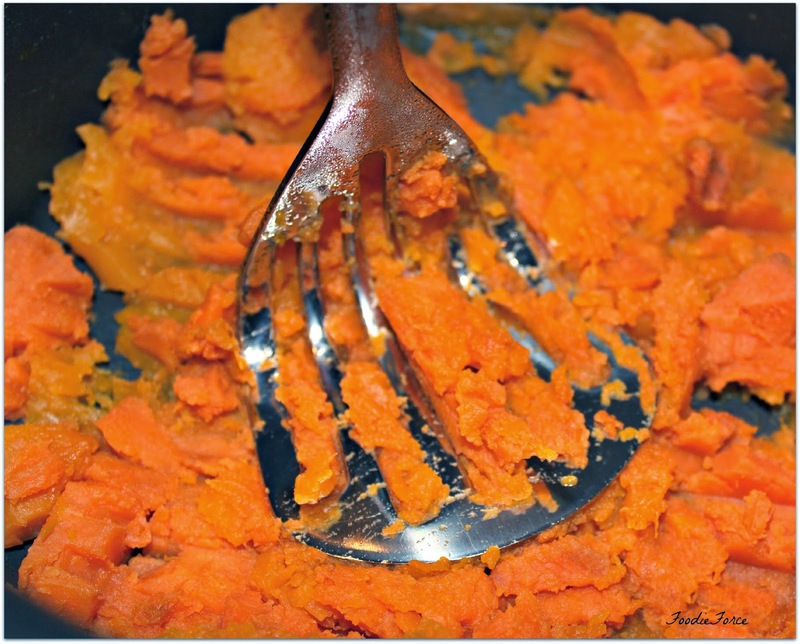 The butternut mash is something I really need to try. Surprisingly, I don't think I have had duck before. I am a meat eater, but not a fan of duck (hubby loves it!). But I love cabbage, butternut squash, and sweet potato. Maybe substitute chicken. As long as my husband doesn't see this. I told you he went bananas over your "tectonic plates" travel post!! !